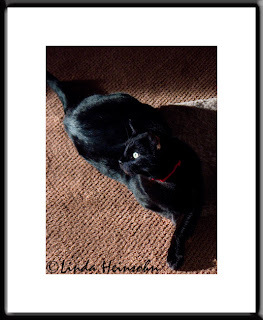 Arnie, our Bombay Cat, is a tricky guy to photograph. This morning I was lucky and was able to catch him lolling in a patch of sun by his scratch post. I think the contrast of the shot gives him a sort of elegant look. I also like the natural S curve of his body.